Some of our churches looking for new pastors are seeking a leader who will fix them. Sooner or later they will be disappointed. Your pastor cannot fix you or your church. Neither can your therapist, your parents, or your fairy godmother. The rich member who has seemingly endless resources can’t fix it either. Money can move mountains but often it’s just a band aid. Becoming a Faithful 21st Century Church requires a culture shift, not a fix. We are setting everybody up for failure if we refuse to accept this. Adaptive change is harder than technical change. You know this. How do we figure out who we are now? Scott Lumsden suggests these questions be asked to everybody in the congregation from the pillars to the prepubescents. *These are Scott Lumsden’s questions. He gets all the credit. Answering those ten questions is the first step in figuring out a congregation’s identity. For the second and third steps, you’ll need to attend the training I referenced above. Teach them how to transition. It’s really hard. Really hard. But I have so much hope because . . . The Holy Spirit. The Big Decision we need to make today is: Do we want to be a faithful 21st Century Church or not? 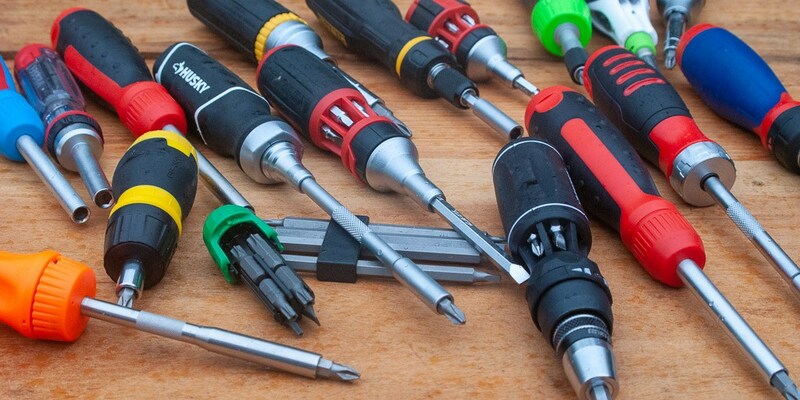 Image is an assortment of multi-bit screwdrivers. They can screw things but that’s about all. It’s unfortunate the next training is over Ash Wednesday. Maybe a summer one will work. I can’t see a future schedule from the website. Do you know if there is one scheduled after March? None of the above is going to matter one iota if we continue to be a 91.6% white church. Pretty simple isn’t it? A question about #6: We’re a federated congregation–one Presbyterian and one Lutheran congregation that came together for worship, fellowship, and ministry. What would be a good substitute: “I am glad to be part of [my church] because,” “I am glad to be (Lutheran)(Presbyterian) . . .”, “I’m glad to be both Lutheran and Presbyterian . . .”, “I’m glad to be joined with (Lutherans)(Presbyterians)”, or something else?